How do you celebrate 125 years of serving women and children in your community? Try a birthday party for nearly 1,100 guests, complete with a nationally-known speaker and moments of both tears and laughter. You might also throw in a total gift of $70,000 toward your cause, and most of it raised on-site in just one hour. 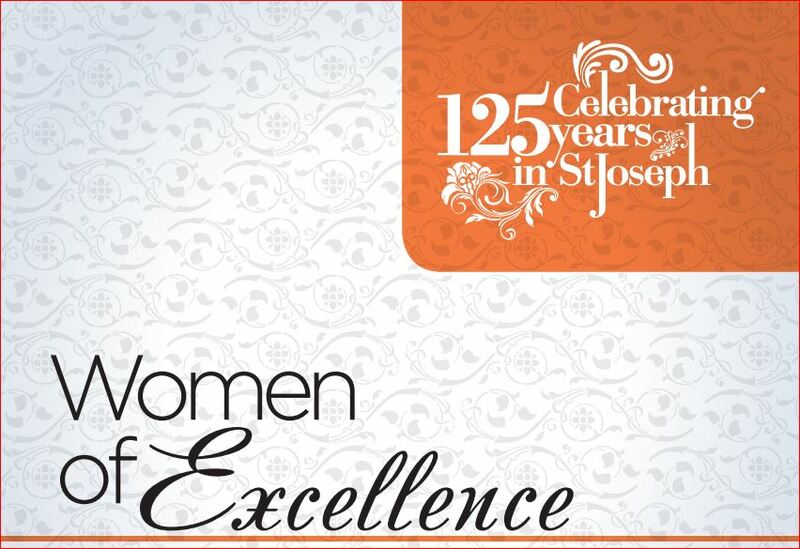 This week we honor the YWCA of St. Joseph, now celebrating 125 years of service in St. Joseph. What began as the vision and dream of a handful of ladies – who went door to door collecting funds for the building in the late 1880s – is now a cornerstone of hope for thousands of women and children who have entered its doors in downtown St. Joseph through the years. Last week, the YWCA celebrated a century-plus of accomplishments at the annual Women of Excellence Luncheon, a very fitting atmosphere in which to honor the modern-day women whose hard work and dedication continues to change our community for the better. The awards have become one of the premier special events of any non-profit organization in the area, with a growing attendance each year and a continual upswing of on-site cash gifts called “Steve’s Centerpiece Challenge.” This year, Steve’s Challenge marked an all-time high, with the businessman and benefactor generously matching 34,000 in on-site gifts placed by event attendees in the bright orange envelope at their table. With nearly $70,000 raised for the families served by the YWCA – most of it in just under one hour – there’s no question the message and the brand of the YWCA is stronger than ever. The event highlighted the accomplishments of past and present honorees, including women who have excelled at leadership, in the workplace, in volunteerism, as student leaders and as lifetime achievement winners. Dr. Dara Richardson-Heron, national CEO of the YWCA USA, spoke about the accomplishments of women over the past century and how the work of the local YWCA was a model to others across the country. How does an organization bring in a speaker like this, a near-capacity crowd and an all-time high donation level for Steve’s Challenge? A few basic principles are at work here. They continue to match their work with their mission, and to communicate that mission in a clear message time and time again. The organization utilizes blogs, enewsletters and social media to remind attendees about the event – and to drive home the bigger picture of how the YWCA helps families. The volunteer committees are enthusiastic, many returning year after year, and they work to draw support and attention from their own networks. And, perhaps most importantly, while events like these are happening, just blocks away at the YWCA building, you might see a tired mother pull in with her children, a few small suitcases and a car that just won’t go another mile. She finds the shelter, hope and help she needs in the moment. In an atmosphere of dignity, and with a team ready to help her plan her next steps, the critical work of the YWCA mission continues just as it did in the beginning. Today SJC congratulates all the women in attendance at the YWCA Women of Excellence Luncheon, and we thank you for your continual contributions of time and talent toward making this community a great place to live. Here’s to the next 125 years! This entry was posted in Messaging, Monday Morning Coffee, Nonprofit Marketing and tagged blogs, build brand value, coffee talk, copywriting, engage customers, social media. Bookmark the permalink.